BL190326 - What’s Your Home Actually Worth? 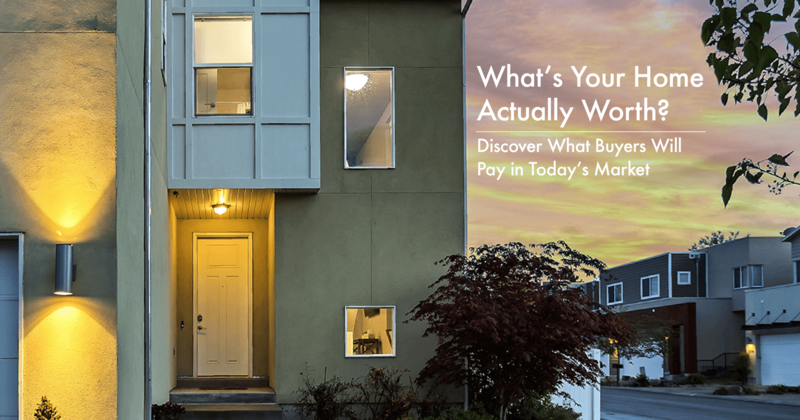 Even if you’re not a buyer or seller right now, as a current homeowner you might just be curious about the value of your home. Keeping track of your home’s worth year over year helps you understand the trends in your market. So, when you are ready to sell, you can take advantage of a good window of opportunity. Neighborhood sales - Your agent will look at similar, recently sold homes in your neighborhood to see what they sold for and what they have in common with your house. The exterior - What does your home look like from the outside? Your agent will factor in curb appeal, the style of the house, the front and backyard, and anything else that impacts how the house looks to everyone walking and driving by. The interior - This is everything inside the walls of the house. Square footage, number of bedrooms and bathrooms, appliances, and more all influence the overall market value. Age of the home - Whether you have a newer or older home affects the number your agent comes up with as part of their assessment. Style of the home - The style of your home is important because buyers in different markets have different tastes. If buyers prefer ranch-style homes and you have one, then your home may sell for a premium (aka more money!). Market trends - Because a local agent has so much experience in your market, they have their finger on the pulse of your area’s trends and know what buyers are willing to pay for a property like yours. Location, location, location - This one’s probably the most obvious. Your agent will think about how popular the area is, how safe it is, and what schools are like.